We offer the perfect Key West Beach Wedding Location! Our 1800 Atlantic resort is the perfect location for your Key West beach wedding. 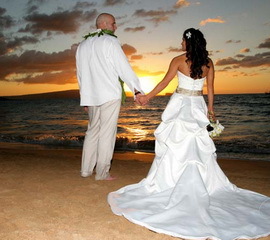 You can host your wedding ceremony on the beach or at our private banquet room. We are also situated right next to Smathers beach, which is the number one location for Key West beach weddings. Please click on the following link if would like information on our Key West Accommodation on the beach. Key West Florida is one of the World's premier destinations for wedding ceremonies. There are a number of beaches and locations that are ideal for that perfect wedding you've dreamed about. Our Vacation Rental located at 1800 Atlantic has it's own private beach with a gorgeous tropical background that will make your wedding pictures stunning and memorable for a lifetime. The 1800 Atlantic clubhouse is also available for that memorable occasion or wedding. 1800 Atlantic resort also has a beautiful tropical garden area that also makes for an excellent backdrop for a wedding ceremony. There are also many charter boats that specialize in weddings if you would prefer a wedding ceremony on the crystel blue waters of the gulf of mexico. What could be more romantic than marrying the love of your life aboard an authentic sailing ship with lush tropical islands and white sand beaches as your background. 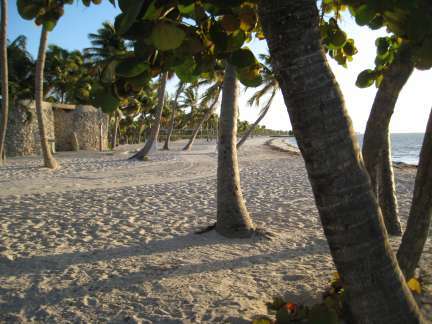 We are located next to Smathers Beach,Key West's number one beach wedding location. They specialize in weddings but can handle any special event and customize it to fit your needs. They have high standards and even higher expectations. So whether it's a beach wedding or corporate event Key's Affairs it the right planner for you. 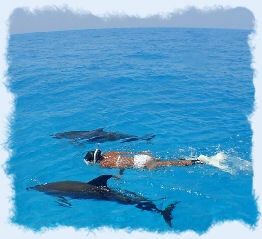 If your going to stay at the best Key West vacation condo rental then why not hire the best planners in the business. They offer intimate reasonably priced Key West wedding packages. Packages include flowers, photographs and local advice to make your wedding the most memorable ever. Packages can be customized from the most simple beach wedding ceremony to the more extravagant ballroom gala event. Let them take care of all the headaches and details! So you've chosen Key West for that special day. Why take a chance on your special day when you can have Destiny, the premier wedding planners, take care of all the worries. 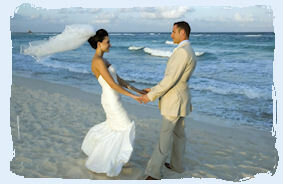 They specialize in beach weddings and going the extra mile to make your wedding day memorable. KEY WEST WEDDING - Thirty Five Years Experience! The folks at Key West Wedding have been doing wedding planning and weddings for over thirty five years. They can offer helpful tips if you're going to do it yourself or take care of the mountain of details for the more elaborate ceremony. They offer everything from a Key West beach weddings, to elaborate cruise ship packages. One of the few Key West wedding planners that has their own private wedding chapel. They will however plan your ceremony for one of the many world class wedding sites that the island has to offer. Big or intimate they can handle most wedding requests. The team at Sebago offer charter boat rentals that will insure that your special wedding day is unique and very memorable. They can handle parties of up to 125 guests. They offer everything from an inexpensive simple wedding package to more detailed Key West wedding packages. The only wedding more unique than a beach wedding is a wedding on a modern Key West charter boat on the ocean. They will do whatever it takes to make your big wedding day the most fantastic and memorable event. They take pride in their wedding planning services and it shows in the details. Why not let them plan your dream day with a Key West boat wedding. WEDDINGS BY MYSTIC DREAM - Packages of all Shapes and Sizes! Let them take the stress and hassles out of your big event. They leave nothing to chance! Whether you're planning a large gala wedding affair or a simple Key west beach wedding they will handle your wedding with professional detail and service. Every detail is taken care of to make sure your day comes off exactly as you had pictured it. Packages available for all budgets and needs.